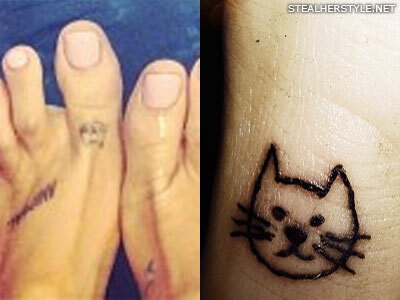 Ariana Grande and her ex-boyfriend Ricky Alvarez have matching tattoos that say “hi” on their toes. Ricky was one of her backup dancers and they are thought to have dated from April 2015 to July 2016. 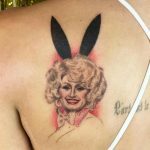 This tattoo was revealed at the American Music Awards on November 22, 2015 but is rarely ever seen since Ariana almost exclusively wears closed-toed shoes. To be honest I was having like a bit of a party in Australia at this house and we were all watching the football. And we all decided to just get tattoos while we were watching the football and drinking beer. 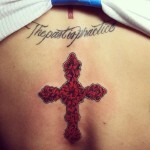 It was so badass….And I got my brother’s initials tattooed on my big toes. 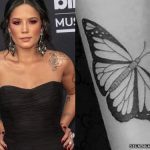 We haven’t been able to see the tattoos yet except for a tiny glimpse in an instagram photo. 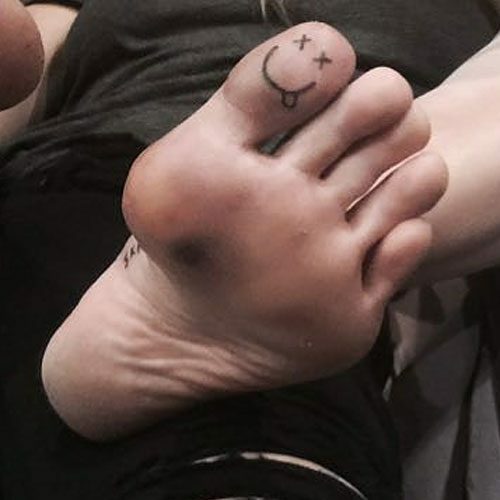 Kesha got a cat face on her left big toe in July 2013 at the same time as her “Animal” tattoo. She is a huge cat lover and has three pet cats — Mr. Peep$, Mr. Fluffy Pant$, and Charlie. 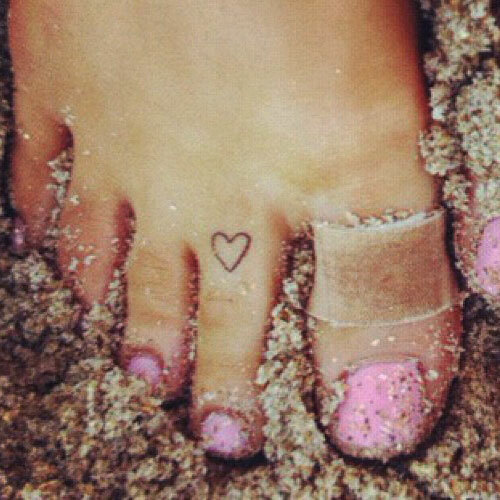 Ariana Grande’s first tattoo was an outline of a heart on her toe. 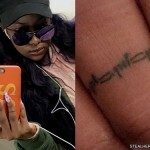 She got the tattoo in April 2012 while recording her debut album. 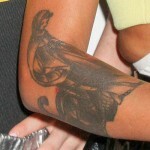 Its purpose is to serve as a reminder of this exciting time in her life. 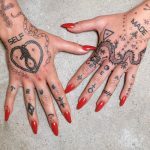 She also has a song called “Tattooed Heart” which is one of her favorite songs that she’s written. 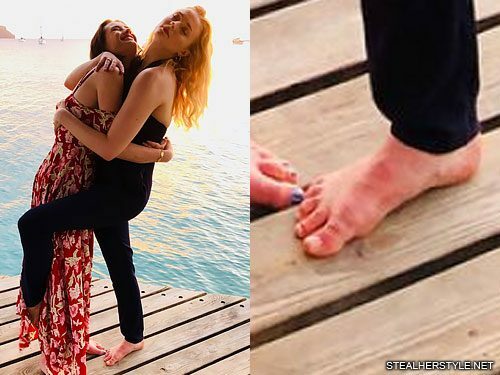 Carah Faye Charnow has “California” written across her toes. She was born in Santa Barbara, CA and currently lives in Los Angeles, CA.